Grave Reference: Panel 8, Column 1. 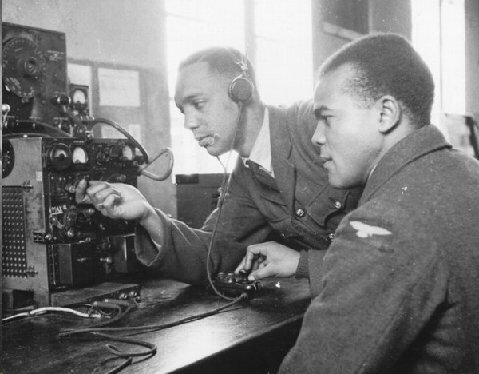 Left – Aircraftsmen 2nd Class C2 J R Henry of Antigua and (right) Osmund Alleyne of Dominica, photographed whilst under training as Wireless Operator/Air Gunners, December 1941. 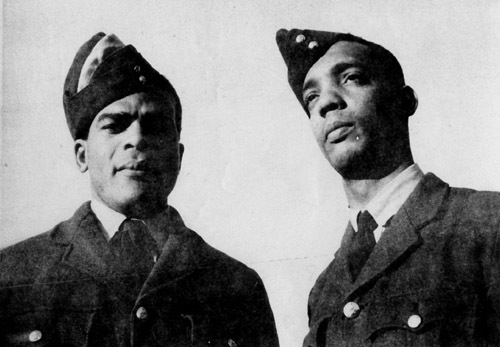 Osmund Alleyne was the brother of my father the late Keith H.C. Alleyne Q.C.. Osmund Alleyne (Ossie) died in battle when his aircraft was shot down over Italy, according to the information i have, in the same year that i was born. i know that my father was intensely proud of him. my father, Keith H.C. Alleyne was also a close friend of J.R. Henry, who was also a prominent lawyer and Queens Counsel who was tragically murdered in Antigua at a young age. i was very pleased to see these photographs of my uncle and to become aware that he served with Rowan Henry, with whom i was honoured to be acquainted. thank you for this invaluable information and these photos. Hello, my family name on my mothers side is Alleyne, I have an uncle leaving in the US(Ben Alleyne) and sadly another uncle died his name was Thomas Alleyne, their father was Jonathan Alleyne, from Roseau Dominica. I now reside in England born in Dominica 1951.